Luca Tech is already the proud owner of 1,350 coalbed methane wells, which their original owners put on the block because they are no longer productive. The company has applied for permits to expand pilot testing of its technology in Wyoming’s Powder River Basin, and Pfeiffer anticipates Luca Tech will be actively restoring existing wells in the next four to six months. Tapping these last dregs of methane in the Powder River Basin could produce more gas than the annual consumption in the United States, according to Pfeiffer. 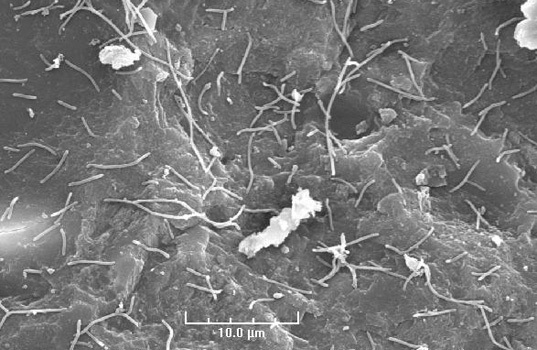 Plus, unlike natural-gas drilling methods like hydraulic fracturing (or “fracking”), Luca Tech’s process is said to be environmentally benign, since the microbes and nutrients are naturally occurring. Still, the company’s plans are not without snags. Local conservation groups and landowners oppose Luca Tech’s plans to develop more wells, so the startup has had to sidestep the state oil and gas commission in favor of working through the U.S. Environmental Protection Agency and state environmental agencies. One of the biggest questions critics have is whether the technology can be applied cost-effectively. Although Pfeiffer says the company isn’t yet profitable because it’s still investing in the process, the individual projects could generate cash through sales of gas into pipelines. Who needs to drill more holes to get more natural gas when you can just "grow" it in existing ones? Luca Technologies, a Colorado-based startup, has devised a way to generate and extract more natural gas from dried-up coalbed methane wells. 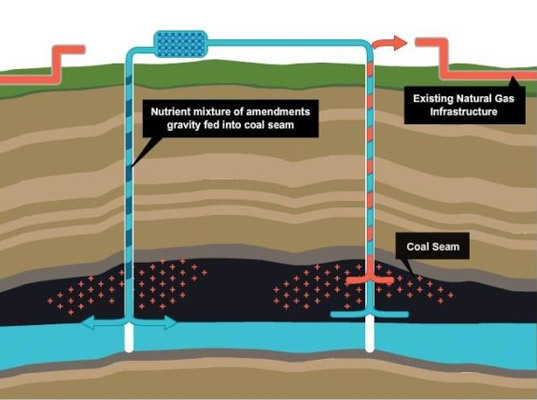 The trick: Injecting water and nutrients into coal seams to jump-start the process in which bacteria digest coal to make methane, the primary constituent of natural gas. "It's almost like fertilizing the lawn. We're helping the biogenic natural gas process," Robert Pfeiffer, the company's CEO, tells CNET News. "The whole basin is already made by this same microbial life we are working with today."